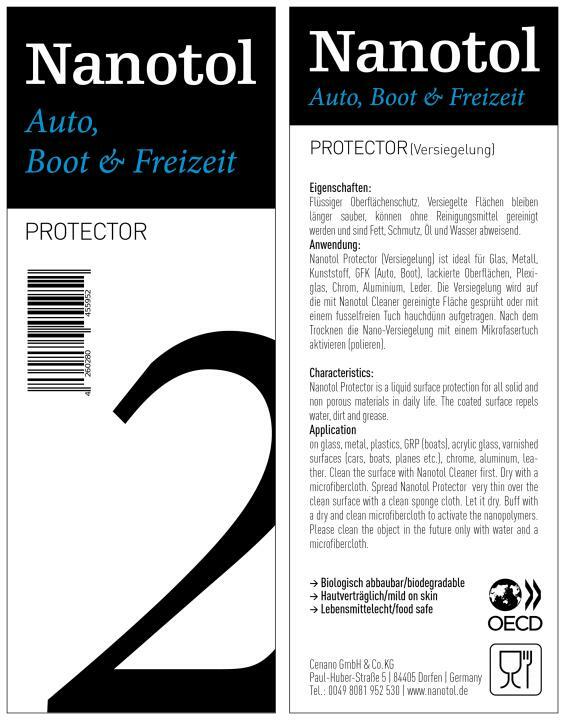 Eine Versiegelung mit Nanotol Auto, Boot & Freizeit Protector bietet Schmutz so gut wie keine Haftung und garantiert perfekten, langanhaltenden Glanz. Nano coating for vehicles which have been cleaned wih Step 1 (Cleaner) . 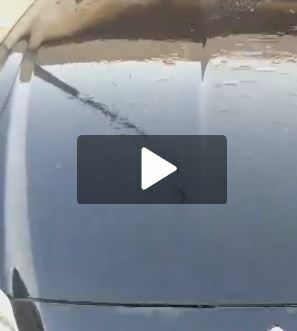 Step 2: A coating with Nanotol Car, Boat & Leisure Protector (ceramic-polymer-hybrid coating) provides protection, dirt repellency and guarantees a perfect long lasting shine. 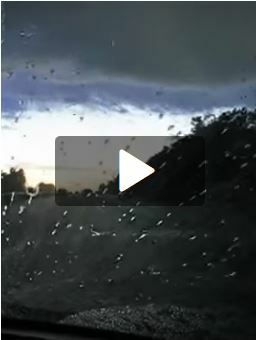 Nano coating for Car, Boat & Leisure. 12 months dirt repellent. 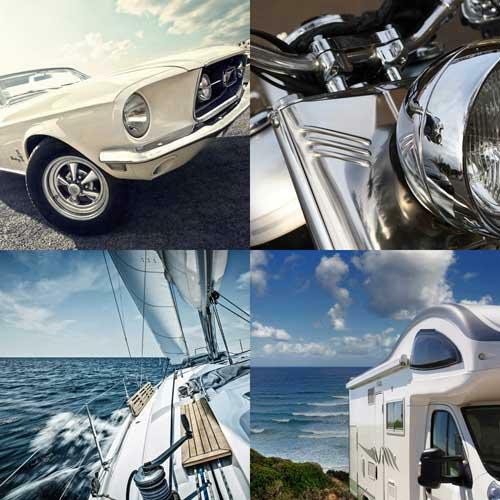 Nanotol Car, Boat & Leisure Protector is a high quality coating (ceramic-polymer-hybrid coating) for all smooth surfaces. It is a kind of protective shield against environmental influences and repels dirt, fat or water (Nanotol Lotus effect). The surface stays clean much longer and can easily be cleaned. Nanotol Car, Boat & Leisure Protector provides a long lasting, perfect, deep shine without streaks and it is dirt repellent for up to 12 months. Nanotol Car, Boat & Leisure Protector coats all smooth surfaces like paint, aluminium, painted surfaces, glass, plastic, gfk (car, boat), metal, enamel, ceramic, rubber, stainless steel and even smooth leather. It is recommended to clean the surface with Nanotol Cleaner first before gaining the full effect of the nano coating. Tiny nanopolymers can only enter the pores of the surface when they are really clean. 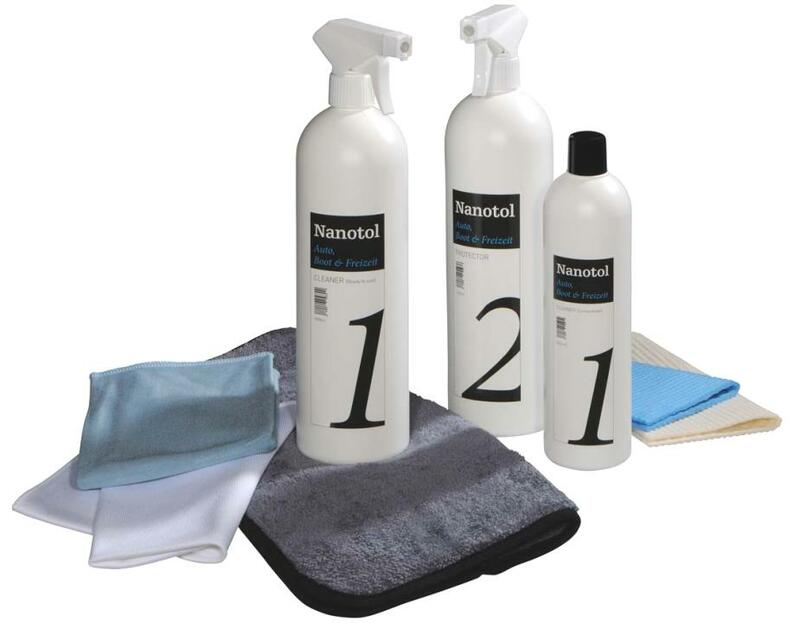 Nanotol Car, Boat and Leisure Cleaner cleans with high quality, nonionic surfactants gently but thoroughly. 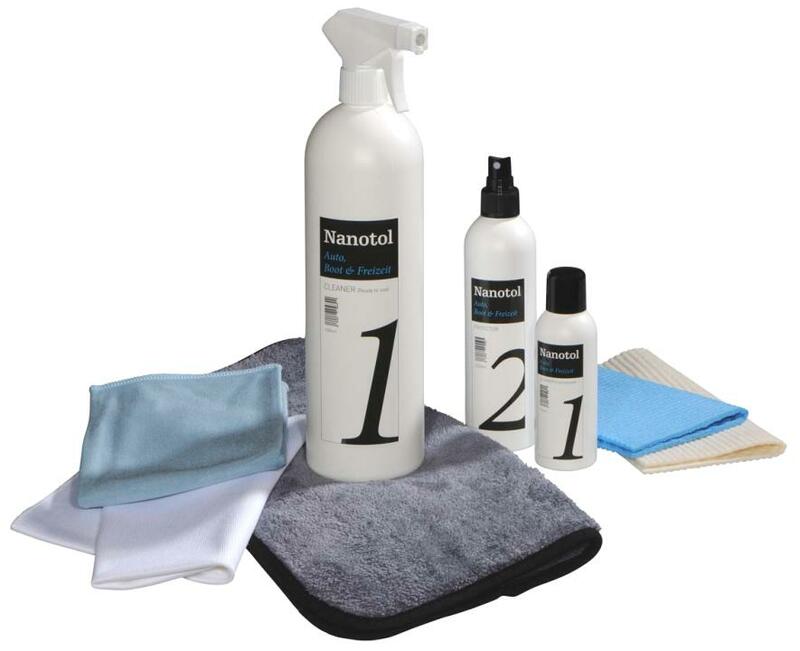 The Cleaner ideally prepares car paint, rims and glass for sealing with Nanotol protector. This basic sealing is only required once and can be renewed from time to time. 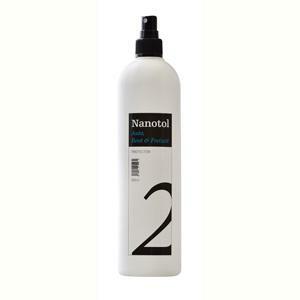 The Nanotol effect can be replenished with Nanotol 2in1 occasionally. 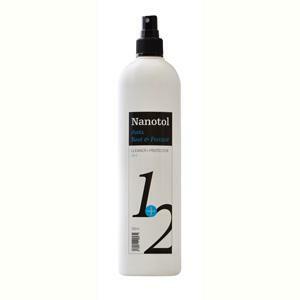 Nanotol 2in1 quickly cleans and seals surfaces in one step. Just spray, apply all over, rinse off and dry with a microfiber cloth. Regular application of Nanotol 1 + 2 will permanently preserve the effect of the Nanotol sealant. 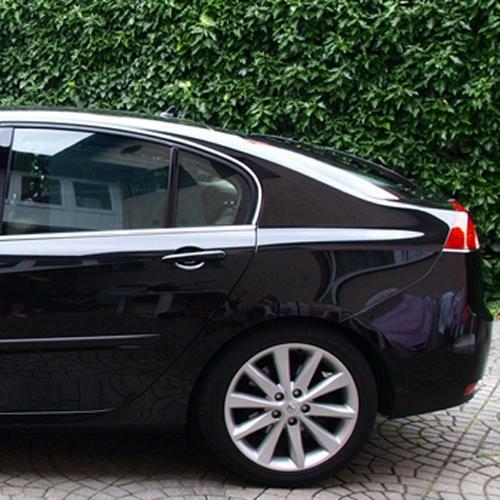 You can coat 160 m² with one liter of Nanotol Car, Boat & Leisure Protector. Suitable for new and old cars. Nanotol Protector is very eco-friendly, not only due to minimal product use but especially due to its complete biodegradability. This is proved by numerous tests and certificates. Verification of the hygienic effect by SGS Institute Fresenius. TIPP 1: Please remove any wax residues from the surface, otherwise the Cleaner cannot penetrate into the paint. TIPP 2: If you want to polish the paint before coating the surface, clean it with Nanotol Cleaner first, then polish the paint and finally apply Nanotol Protector. The coating is sprayed on the clean surface treated with Nanotol Cleaner, or applied thinly with a lint-free cloth. 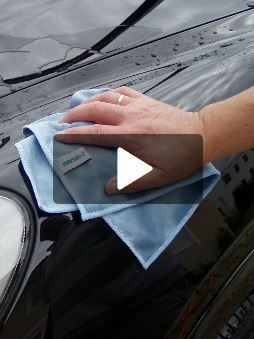 Let it dry and active the nano coating with a microfiber cloth.